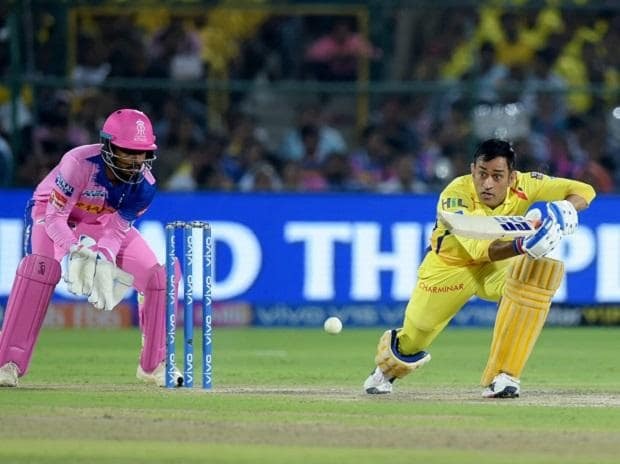 Chennai Super Kings captain Mahendra Singh Dhoni escaped a ban and was let off with a 50 per cent fine on his match fee for an unprecedented confrontation with the on-field umpire during the IPL encounter against Rajasthan Royals in Jaipur. In a rare instance, Dhoni, who was not even meant to be on the field of play, lost his cool and rushed out of the dug-out to challenge umpire Ulhas Gandhe after he flip-flopped on a no ball on Thursday night. "MS Dhoni, the Chennai Super Kings captain, was fined 50 per cent of his match fees for breaching the VIVO Indian Premier League's (IPL) Code of Conduct during his team's match against Rajasthan Royals at Jaipur," the BCCI stated. Gandhe had tried to rule a waist-high full toss as no ball by RR all-rounder Ben Stokes. But he reversed his decision after square leg umpire Bruce Oxenford did not signal for it. "Dhoni admitted to the Level 2 offence 2.20 of the IPL's Code of Conduct and accepted the sanction," it further stated. As it is the case with IPL teams, it's the franchise that will pay the fine on the player's behalf. Dhoni was seen angrily gesturing at Gandhe for backtracking after initially signalling a no ball. It took some convincing from Oxenford for Dhoni to head back to the dugout even though he seemed far from convinced. But the confusion and the ensuing confrontation did not have a bearing on CSK's fortunes. Stokes failed in the final over and Mitchell Santner finished the match with a six to take his team to a four-wicket win in a chase of 152. According to the ICC Code of Conduct, which governs the IPL, showing serious dissent at an umpire's decision by words or action can lead to a maximum punishment of one-Test or two-ODI ban.